And what is the best food to welcome the Snake? In a medium saute pan pre-heat olive oil, add onion, and saute until golden brown. Add mushrooms, and cook on medium heat until all water evaporates, about 5 minutes, stirring frequently. 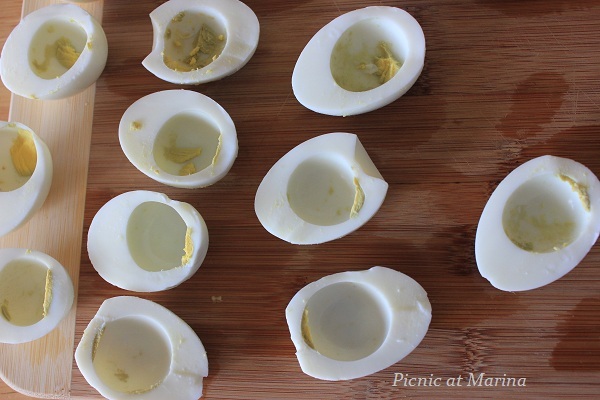 Cut eggs in half, remove from each half egg yolk. 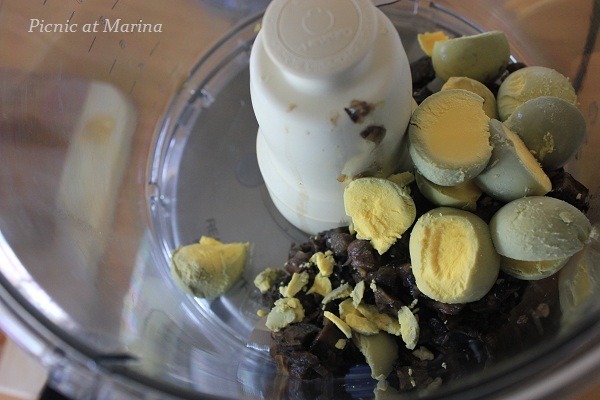 In a food processor combine egg yolk, mushroom and onions, dill, garlic, and salt and pepper (start with a little pinch and taste). Pulse 2-3 times until all ingredients mix. Taste for salt and adjust if needed. Carefully fill each egg white with filling and serve. Variation: use cooked chicken liver (my personal favorite) and follow the same direction. This appetizer is on top of 10 favorite appetizers: easy to make, and everyone loves it. Although, now that I am thinking, I may not even have 10 on that list, but anyway it's on the top of however many are there. Happy Year of the Snake! May prosperity be with you! You welcome, Della! Let me know how you like it! These looks good Marina! Have a nice weekend! Thank you Kim. Have a nice and cozy weekend too! Marina, can't wait to try these! I've never had them with mushrooms, they have to taste great! Hi Pam, they taste good! I usually make them with chicken lover, but this came out really good, it became my next favorite. While I'm not a fan of mushrooms I do love your snake. Excellent work. Cool looking snake. A very healthy appetizer indeed. Oh I love mushrooms! Delicious! 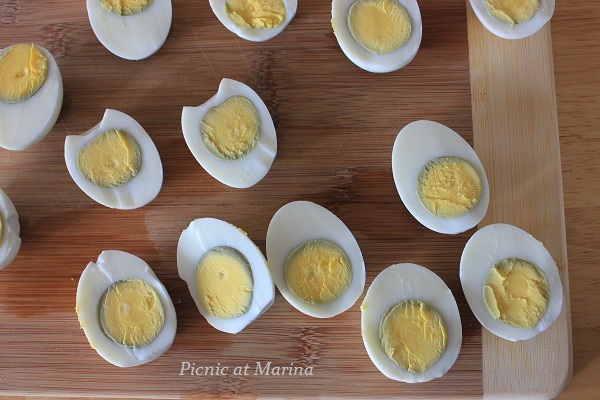 These certainly would be a welcome change from deviled eggs, Marina. As much as i enjoy mushrooms, I'd love to give the chicken liver-filled eggs a try. They sound delicious! And love that they can be made in minutes. Perfect! Marina, at first I thought OMG...two real snakes?...seriously! (we get snakes in our S. Florida gardens, and even in the swimming pool sometimes)...mostly the little garden snakes. 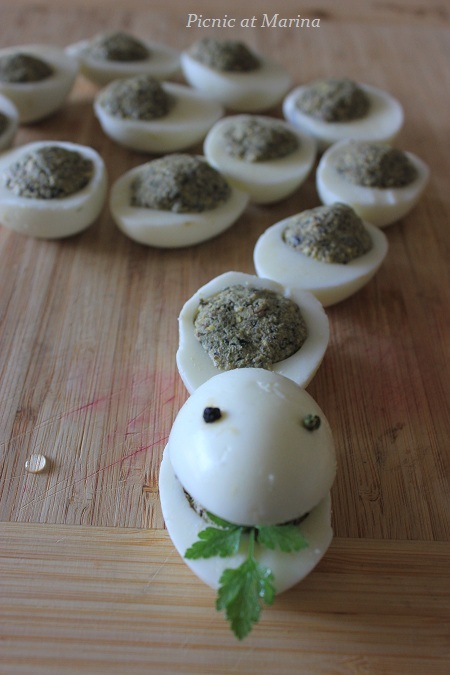 How clever, cute, and yummy mushrooms stuffed eggs for your 2 favorite family 'snakes'...Year of the SNAKE...great sign! Lol, Elisabeth! I would scream out loud if I see real snakes. There are a lot of snake where we live now, many poisonous, and because I don't know the difference I am afraid of every single one. I should probably learn better my enemies, and spiders too. Hate those! Anyway, back in kitchen I have only my family and friends, for whom I love to cook. Love the "snake" picture! And nice way to stuff eggs - I've never used mushrooms to do so, and it's a great idea. I often say I have a "top ten list" of something without having any real idea of how many items are on the list! It's more a state of mind than anything else. Fun post - thanks. 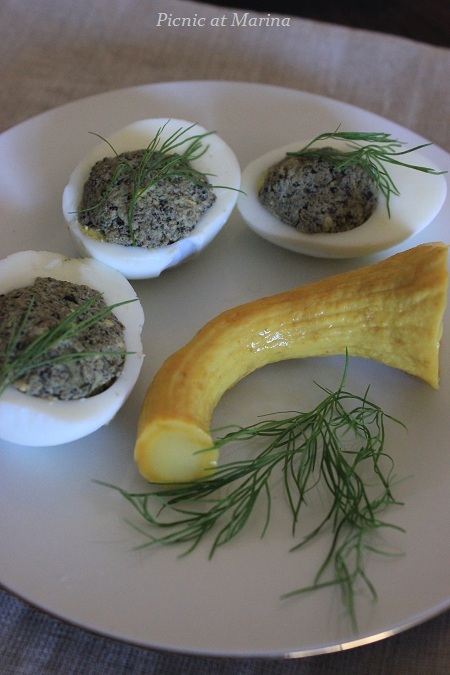 What cute looking eggs -- and the recipe sound delicious! Thanks for sharing and Happy Chinese New Year!! 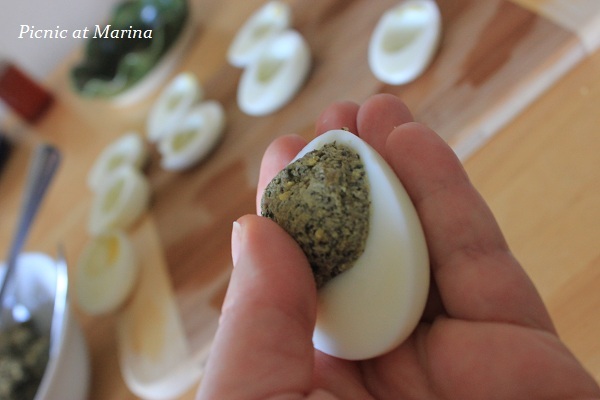 Really tasty looking eggs Marina! I never tried stuffing eggs before... I must admit that I'm not the most patient person in the kitchen. "Fiddly" tasks often result in my getting mad and so I'm not sure if I'd be able to stand there and stuff so many eggs...! I tried making tortellini once by hand... that was a disaster. Ended up with me getting so angry I just picked up the whole dough-ball and threw it in the garbage. Not my finest moment :p.
I don't think I could make these for a party, given my stressy ways, but I could totally make them on a smaller scale as a snack for my wife and I! Oh, that's cute to the max--I'm also a snake, and I'm loving this! Cheers to a happy new year! I love the little eggy snake Marina! 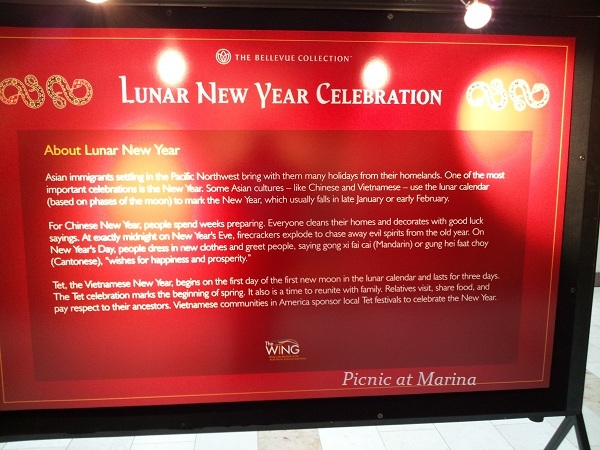 Those eggs are indeed the perfect way to celebrate the Chinese New Year! Thanks Katerina! Do you have this astrology thing too in Greece? Oh dear, don't we all know how to be a snake from time to time?! :) Thanks for your comment! Hoep you had a lovely holiday! Very yummy sounding appetizer and so pretty too! This is so much fun, Marina. So perfect for the Year of the Snake!Wonderful for the Chinese New Year.